At least 14 individuals are reported to have been injured in the incident, and two of those seriously, which saw an unidentified individual drop a rucksack on the bus and draw a knife before attacking passengers. 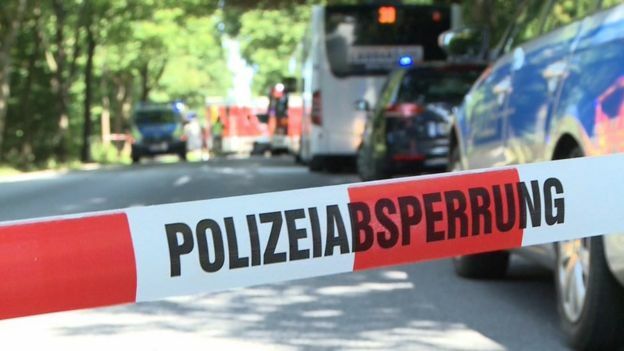 Police in the city, in the northern state of Schleswig-Holstein, said a suspect had been taken into custody. A police spokesperson confirmed that no one was killed in the attacks. German newspaper Merkur reports the driver of the bus stopped the vehicle and opened the doors, allowing passengers to flee the attacker. According to the police spokesman, there has been no fatalities recorded adding that, the motive was yet unknown. However, the local police force’s Twitter has stated that there was a major operation underway but gave no further details.